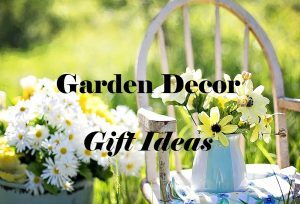 Garden decor gift ideas. I always have ideas ready, complete with pictures when asked for gift ideas for myself. I love receiving unique garden gifts. The more unique the better! Cool garden decor is a great gift for a gardener. So often we gardeners focus our attention and finances on plants and flowers. I didn’t purchase any garden decor until my garden was over two years old because I was so involved in planting my garden. Then one day I realized a vital element was missing from my treasured space. Really cool garden decor. I love receiving cool gardening gifts for any occasion. Garden Stakes are the best gifts for a gardener. They are garden bling, not necessary, but something you just gotta have. 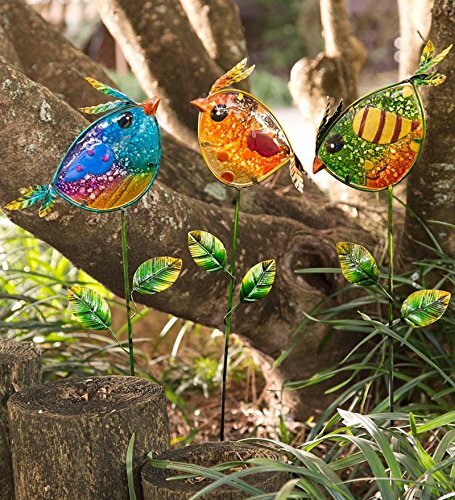 These glass garden stakes are a bright, bold way to have fun with colorful garden decor. Also, think how they will perk up a dreary winter garden. This set of glass garden stakes is on my list of garden decor gift ideas. They are definitely a unique garden gift and would make themselves at home in virtually any style of garden. 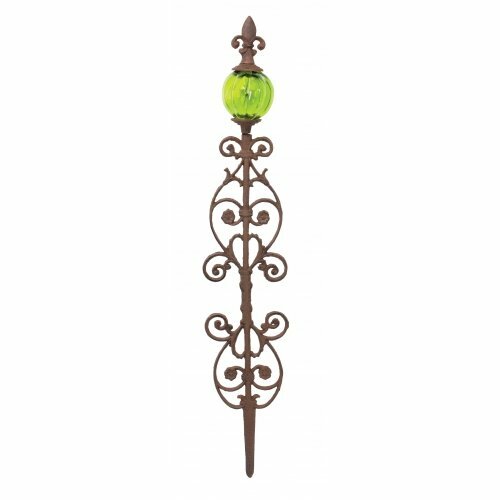 Any gardener will be thrilled to receive any of these glass garden stakes as a garden decor gift. 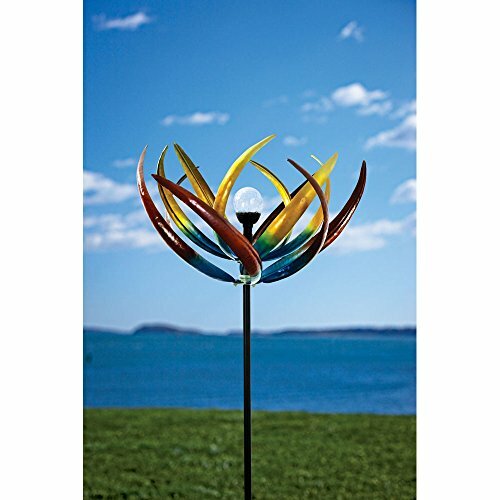 When I look at these metal garden pinwheels, I am reminded of the plastic ones I loved as a kid. They take me back to a simpler less complicated time in life. The metal wind spinner here is so unique. 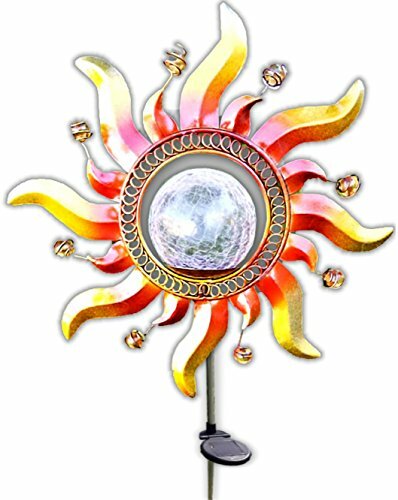 The colors really appeal to me and I can imagine this spinner reflecting these amazing colors in the sun. 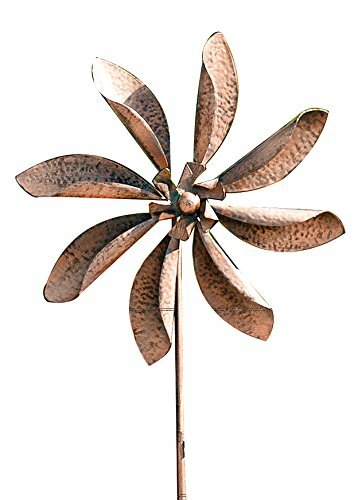 To receive one of these metal garden wind spinners as a gift for the garden would be a treasured gift for a long time to come. It would be so mesmerizing to sit and watch the wind catch the pinwheel and see the colors blend gracefully together. I’m sure your gardener will love on of these. 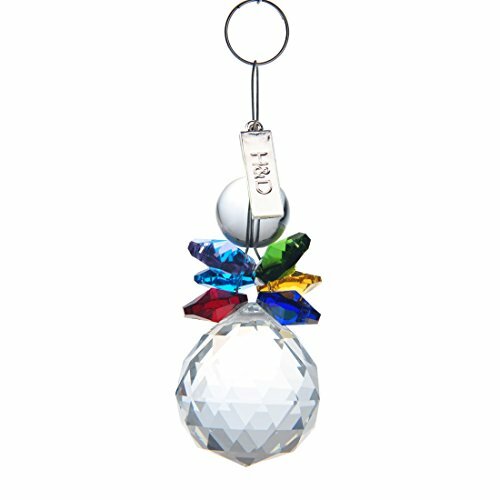 Prism Suncatchers are a “can’t go wrong” garden decor gift. 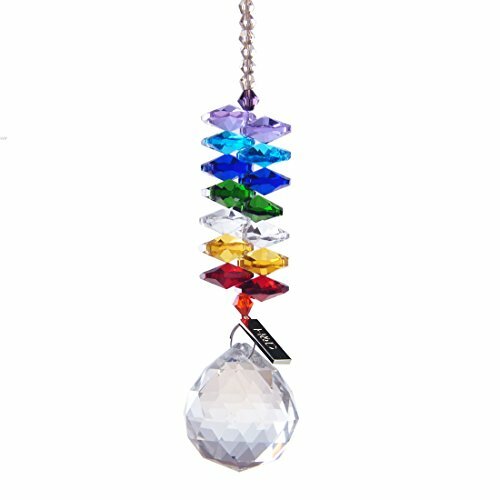 I am pretty sure everyone loves a suncatcher and crystal suncatchers with their amazing display of light and color make an excellent gift for your gardener. I am completely fascinated with how sunlight reflects off glass. It’s almost a requirement for me to have garden decor that somehow reflects light. 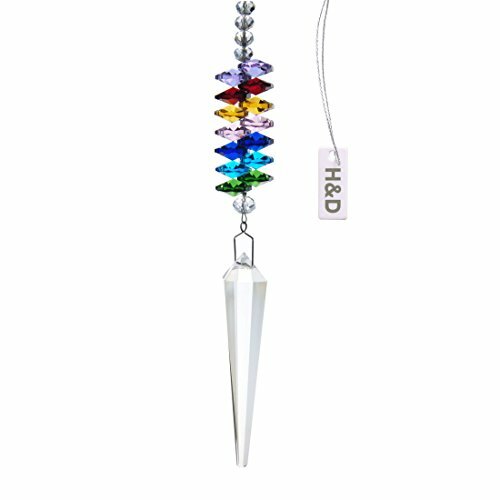 In fact, I have several crystal prism suncatchers and love them. 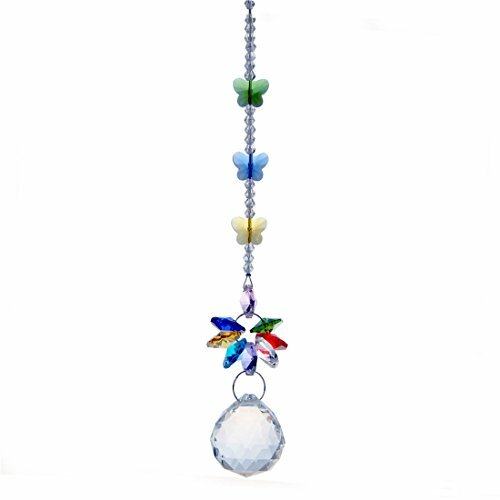 Hanging crystal suncatchers are available in so many different price ranges. You can give it as an individual gift or use an inexpensive prism suncatcher to decorate the box containing a unique garden gift. Either way you can’t miss with this cool garden gift idea. 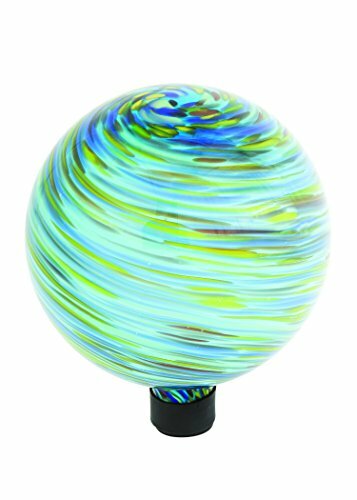 Some might say garden gazing globes are too old school for today’s gardener. I disagree. 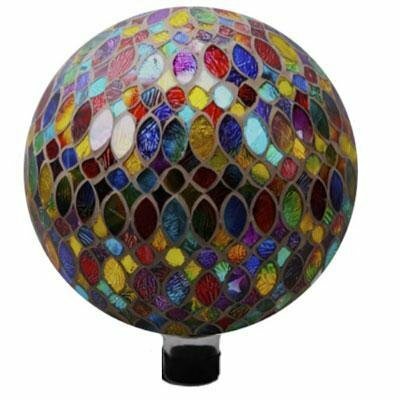 Today’s style of outdoor gazing globes crafted from glass or stainless steel offer such a new twist to the old fashioned version. 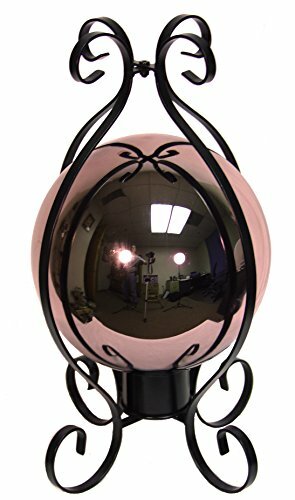 No longer are gazing globes only available in one solid color reflecting something like what you see in a house of mirrors! 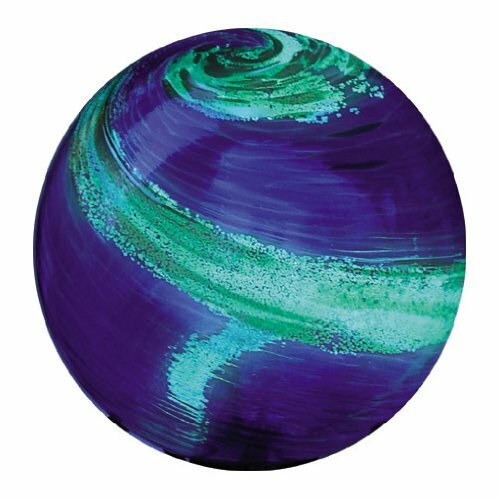 Just look at these glass gazing globes offered in such a vast variety of colors, textures and sizes. 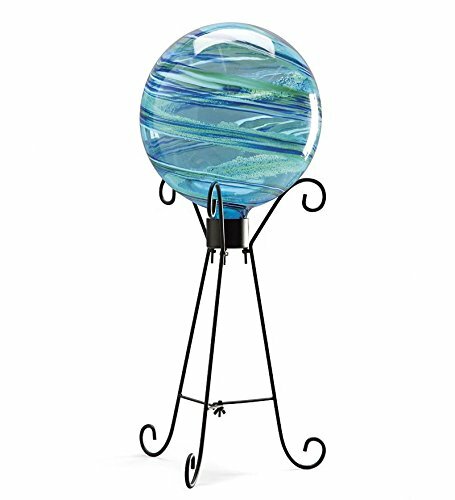 The gazing globe stands are pretty cool as well. Crystal Prism Suncatchers, Garden Art, Garden Decor, Garden Decor Gift Ideas, Garden Gazing Globes, Glass Garden Stakes, Metal Garden Pinwheels. I am grateful to be of service and bring you products and ideas. In order to do this, please note that when you click links and purchase items, in most cases I will receive a referral commission. Your support in purchasing through these links enables me to offset the costs of this website and occasionally pay a bill or two :) Thank you!